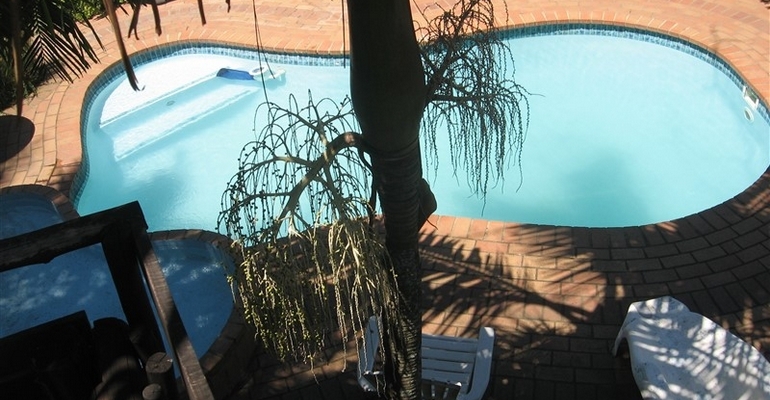 Lovely ground floor garden cottages (with private gardens) as well as the main house (with sea view), each have private braai. Property is well secured, clean & nice & quiet at night. Google reviews 4/5 stars with 32 reviews. Upmarket and AFFORDABLE with ample, secure undercover parking. Pool, baby pool, jungle gym and bunny hutch for the kids - this is an ideal family venue. Pet friendly by arrangement, close to all amenities yet just back from the bustle of the main town. Not suited as a loud adult party venue. All have flat screen TV with HD Open view (2x movie channels, 1x cartoon channel, TV1,2,3,E, etc). For full DSTV bring own decoder, card and remote or dstv can be hired at the same daily rate as charged by Multichoice (pls arrange in advance). Secure and well maintained Property. Nice and quiet at night.